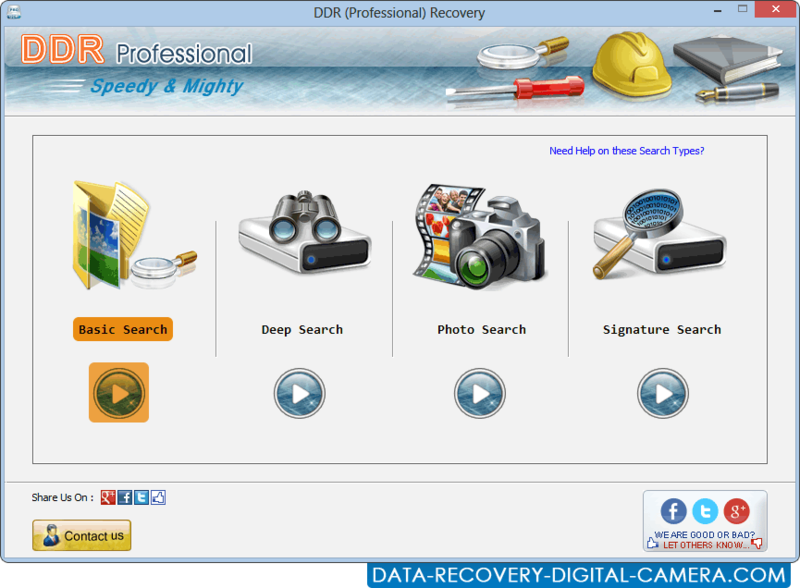 Data Recovery for DDR professional software recovers deleted or corrupted files and folders from commonly used Hard drive, USB drive, Pen drive, Digital camera, Memory cards, Memory stick, External hard disk, Mobile Phones and other similar data storage devices. DDR professional data recovery software works with all major versions of Windows operating system and supports data recovery from USB drives and other removable media storage devices. The process is very simple, you only need to connect such devices to Windows OS compatible machines having Windows data recovery software installed and operate with simplified data recovery steps. Data recovery from Home or Office Desk. No need to rush to nearby recovery labs. No prior technical skills required to operate the software. Evaluate software features and working capabilities with free trial. Data Recovery for DDR Professional is capable to get back all important txt files, music folders, saved pictures and similar files and folders. Program recovers files whether deleted from command prompt, from any application, empting recycle bin folder, formatting disk drives.